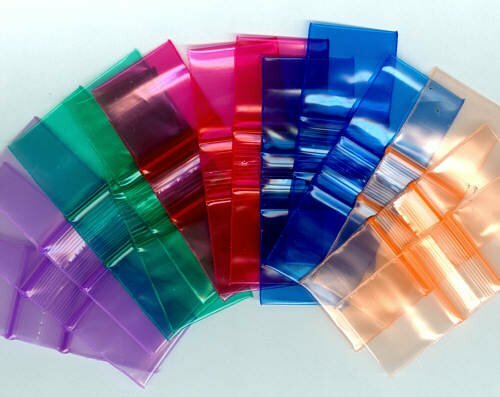 1000 Rainbow Baggies 1010 Ziplock 1 x 1 inch, 2.5 MIL thickness, Apple® brand. Five different colors, no black or clear. Colors may vary. Many more Apple® brand bags, in various quantities and multiple designs and colors in my eCRATER store. In stock and ready to ship from Covington, WA. 200 Panda Design Baggies 12510 Apple® Brand Bags 1.25 x 1 in.